Climate Migrants is an Esri Story Map that tells the story of people misplaced geographically by climate change and in some cases, other change factors. Allan Carroll of Esri and his team wanted to create a climate change map that was oriented toward people. The primary goal of the team is to produce apps that enable other people to tell stories. An analysis report by the Wilson Center in Washington, D.C. was an influence in the development of the Story Map, which charts what factors contribute to people becoming “climate migrants.” In some cases, such as Syria and Darfur, droughts have precipitated migrations and led to violence and war. “Some like these, are caused by both climate change and political indicators, sometimes by shortsighted government policies, but climate is a factor in all of them,” said Carroll. 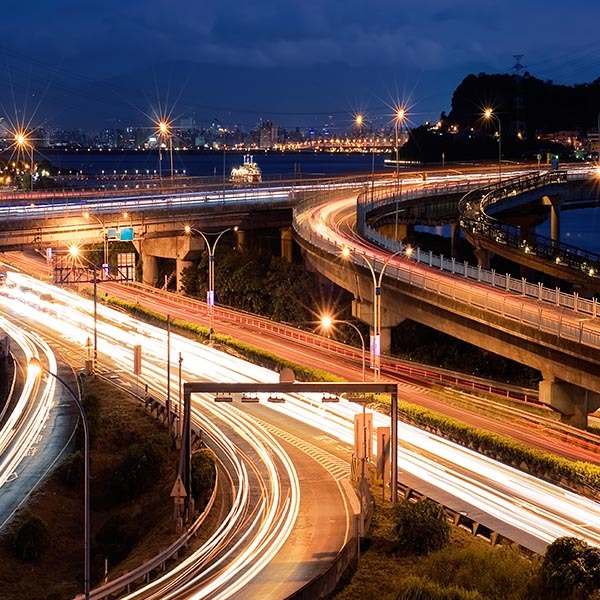 MetroTech is a company that provides an Intelligent Transportation System with its “IntelliSection” data analytics tools to use on an existing city infrastructure, to turn it into a smart city. Special Blog Coverage of 3D Cities Coming in November! ​The GNSS IC market continues to go from strength to strength with Cellular GNSS IC revenue alone forecast to break $2 billon by 2016, with a host of secondary markets starting to emerge, according to a report by ABI Research. This may help to explain why both Intel and Samsung have recently acquired GNSS IC design capabilities, creating competition for incumbents like Broadcom, Qualcomm and Mediatek. Wearables, in-store advertising, ambient intelligence, IoE/IoT and connected homes have created a buzz around indoor location. Before indoor location can really happen, however, GNSS is critical to tying together the disparate networks. In the latest edition of ABI Research’s quarterly Market Data “Location Technologies”, it looks like 2014 could be a breakout year for indoor location technologies in retail environments. Early adopters are shifting from trials to full-scale deployments of the technology, as they are entering the end of the three-year adoption cycle. Low-cost BLE/iBeacons and Wi-Fi solutions are creating a wave of second generation start-ups to fuel new growth and use cases across all major verticals. This activity is estimated to result in over 30,000 indoor location installations in 2014. 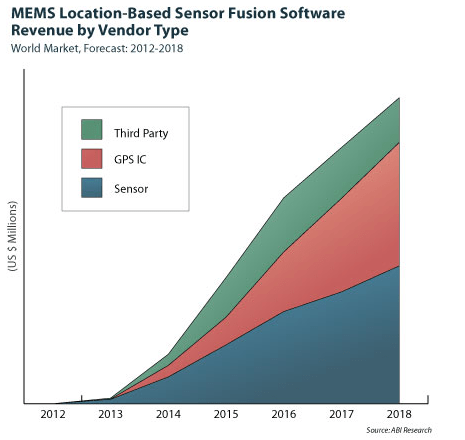 Location-based sensor fusion will become a standard feature in as smartphones embrace constant, ubiquitous location, according to ABI Research’s report, “Location-based Sensor Fusion: Companies, Technologies, and Revenue Opportunities”. The report outlines how sensor fusion will evolve to support indoor location and the companies best placed to succeed in this space. Location-based sensor fusion will pave the way for the use of the “quantified self, ambient intelligence,” as well as provide huge potential around advertising and retail. Findings from ABI Research show that the portable GPS-enabled device market is destined to hold its own because of the growth of dedicated HUD/eyewear, cycling and health/tracking devices. The market was not expected to do as well because of the continuing decline of PNDs, and the growing use of smartphones, smart watches and eyewear. ABI Research’s quarterly GNSS Database forecasts the new and emerging markets for GPS-enabled devices, and where the opportunities lie in terms of device formats and vertical markets. The report also considers the impact of competitive formats such as smartphone applications, wearable sensors, smart watches, and smart eyewear, providing a complete picture of drivers and inhibitors in this market. Readers may remember “Herbie” the runaway “autonomous” car in the Fred MacMurray movie of many years ago that created entertaining havoc. According to ABI Research, in North America, the first driverless vehicles will appear in the beginning of the next decade, evolving to more than 10 million robotic vehicles shipping in 2032.